Tea helps you build and maintain strong bones as research has found that tea drinkers for say a period of ten years had better bone strength even if they had weight problems or smoked, than non-tea drinkers. Also, for those looking to lose weight or maintain a healthy weight, drinking tea regularly will enable you achieve this objective as tea contains no calories. Recent research also found out that tea drinking reduces your stress level to a great extent. And lastly, tea has been found to relieve fatigue as well as aid clarity of thought. Try as much as possible to avoid the ‘extras’. This means – best take your tea as black i.e. no milk or cream, and with little or no sugar; better still with honey. Milk, especially whole or full cream milk actually inhibits or prevents you from getting the full dose of the natural essence or nutrients of the tea. 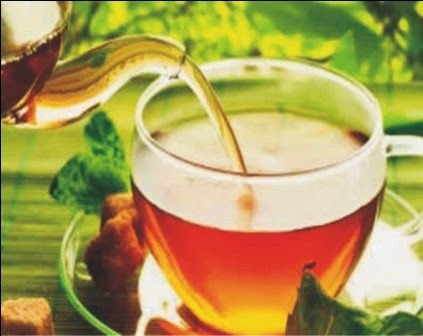 Another word of caution though – tea whether green or black has a small amount of caffeine in it and should not be taken in large quantities by people who are caffeine sensitive including pregnant and lactating women. Caffeine being a stimulant indicates that it is capable of getting you ‘worked up’ just like coffee and kola nuts are known to do. But in the long run tea is a better alternative in this wise because it contains far less quantity of caffeine. Too much of caffeine in your system is capable of hardening your arteries. Tea is better taken also hot rather than cold so as to obtain its full natural benefits. Enjoy your tea today – hot or cold, day or night.